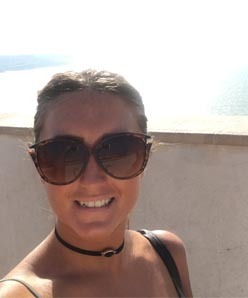 My passion for Travel started back in 2011 when I worked my first season abroad with Thomson, based in Puerto Pollensa in Majorca, I continued working overseas with Thomson for another season based in Menorca in Santo Tomas. This is when I knew I wanted to continue my career in travel. I picked up the courage to book a one-way ticket to Tenerife (Playa de las Americas) for what I thought would only be a 6-month break, 2 years later I decided it was time to move back to the UK, however not before I treated myself with a 6-week holiday in Thailand. I worked at Stansted airport before joining Premier, I am really enjoying meeting new people and learning something new every day. I love hearing about people’s holidays and adventures, helping people create their perfect holiday is very rewarding. I am off to Coral Bay in Cyprus. My travel list is endless! Bali, Maldives, Australia, Dubai, Kenya, Philippines. The list goes on …. Travelling around Thailand was an amazing experience, I started off in Bangkok and then headed to the north. Visiting the islands was my favourite part as the beaches were amazing! I fell in love with the country, the people and the culture. I would love to go back one day. My favourite memory was walking up the Phi Phi viewpoint, when you reach the point the view is out of this world. Although it is a very steep climb in the heat, the view makes it so worth it! Make a check list beforehand, there’s nothing worse than unpacking and realising you have forgotten things. Although I am new to Premier, I will share my personal experiences and try my best to creates people’s dream holidays. Always pack enough travel adapters!